Your bag is full of tinted lip balms, lip colours, and your favourite tube of red that makes you feel like a goddess. But flakiness, dryness or discoloured lips can be such a turn off. Try these DIY fixes to enjoy soft, luscious lips this season. Just like your skin, your lips need exfoliating from time to time too to keep them smooth and soft. Dry brushing is a great way to get rid of dead skin cells and flakes and can done with the help of an unused toothbrush or a disposable mascara wand. If you’re using a wand, just dip into a moisturizing lip balm. Now scrub up and down in circular motions just like your brush your teeth; only using softer strokes. Work on the rougher edges of the lips and you’ll see the dead flakes clearing up. Use a tissue to get rid of any leftover residue. 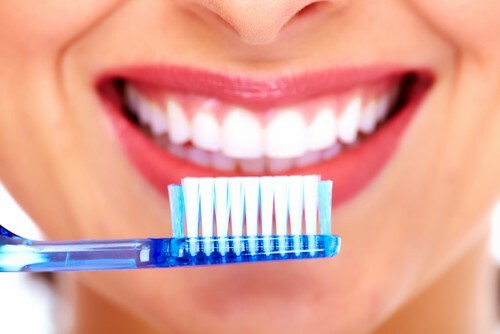 You can also use a baby toothbrush with soft bristles for your lips. 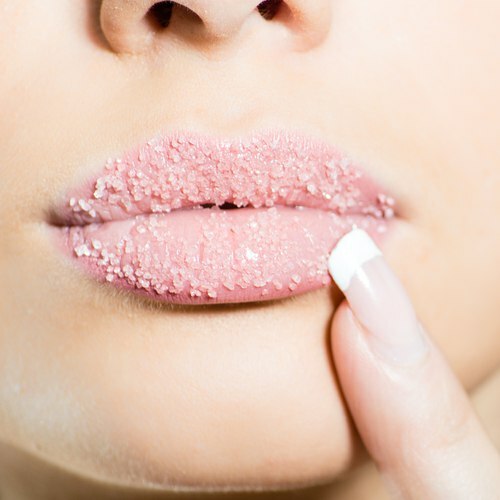 Again, dip it in a moisturizing agent like petroleum jelly, olive oil or coconut oil and exfoliate your lips. Dab excess oil with a tissue. Keep the lip balm/oil for about 20-30 minutes to seal moisture. Hormones, smoking or frequent use of dark lipsticks can cause staining and discolouration of lips. While a honey and lemon concoction can help brighten your lips, carrot juice is also a great idea. Take 2 cups of grated carrots and put it through the blender and then strain the juice and keep it in the refrigerator. Apply it on your lip area with a cotton ball as often as you can. Let the juice dry naturally. There are some amazing lip scrubs available that can give you a noticeably softer, kiss-ready pucker in no time. Some of our favourites are Forest Essentials Lip Scrub Cane Sugar, LUSH Bubblegum Lip Scrub and Bliss Fabulips Sugar Lip Scrub. A great way to minimize the usage of chemicals and additives is by whipping up your own brown sugar scrub at home. Plus it’s cost cutting and shows great results. The base of the scrub is ¼ cup of oil (olive/coconut/almond) and 1 cup of granulated brown sugar. If you like citrusy goodness, just add 7-8 drops of orange essential oil and mix well. Store in a clean, glass container and use it 1-2 times a week. Honey is a great ingredient and works as an effective lip scrub. Take 1 teaspoon organic honey, 1 tablespoon olive oil, 1 teaspoon granulated white sugar, 1-2 drops of your favourite essential oil. Take a small jar (preferably sterile) and start by adding honey to it (if it’s thick then put it in a microwave first). Stir in some olive oil and then add granulated sugar. Top it up with peppermint or lemon flavoured oil (4 to 7 drops) –they have calming properties. Use with a cotton ball all over your lips and see the difference. Why spend a bomb at Sephora on ingredient labels you can’t even read when you can get a Angelina Jolie-esque pout with this wonder spice - cinnamon! Start by applying layer of lip balm. Then take 2-3 pieces of cinnamon and grind it into a medium coarse powder. Mix it with some petroleum jelly and apply it over your lips with your fingers. Make sure you gently press the cinnamon granules as you rub them along your lips. You will soon feel a tingling sensation and also see redness. Allow the mix to sit for about 1 minute and wipe it off. Apply a soothing lip balm and say hello to a plumper pout. Marsala is the Pantone colour of the year; and if you, like us, LOVE shades of red then you must consider taking out some time and making yourself a natural lip stain. 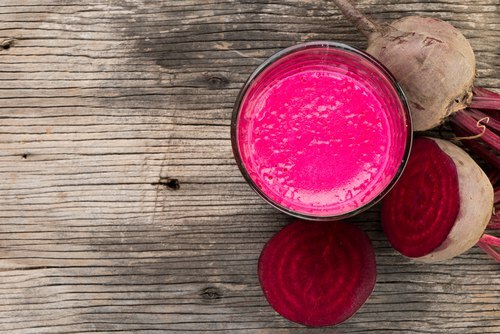 Beetroot, lends a rich colour and makes a vibrant lip stain. All you need to do is: Take about 2 tablespoons of sunflower/almond oil in a saucepan, and add 1 tablespoon of grated beeswax. Keep mixing till the mixture melts. Now add 1 teaspoon of beetroot powder (or grated beetroot slices) and keep stirring until you get your signature shade (it’ll change from dark pink to red to blood red). Let it cool down and store in a small container/ empty palette. Use a cotton bud or a lip brush to apply your all new lip stain!